At Cover4students we are always looking at student lifestyles and how we can develop our insurance for students to match the student's insurance requirements. With the University Halls of Residence which is automatically included as part of their accommodation. Covered by Parents home insurance for contents in your university halls. Already covered by another student insurance policy for your possessions but need to extend the cover for a new item or your current policy can't cover the item you wish to insure. Not leaving home and only require cover while travelling to and from university. Whatever the reason we designed our insurance for students product cover to match these needs. We can now offer a flexible student insurance policy so that you can insure as many or as few items as you wish. So whether it's the latest gadget, mobile phone or laptop we can cover it. We can also offer insurance for students, just for tuition / course fees or protection against the cost to resit an exam please see the tabs for a list of what we can cover. You can get a student insurance quote in seconds; With a flat rating structure it means that it is the same rate wherever you live in the UK, whether that’s London, Cardiff, Edinburgh or Belfast its all the same. So in order to get a price all we need to know is the section you wish to insure and the amount of cover you require. Student insurance can be taken out instantly and policy documents will be emailed to you, we also offer a 14 day cooling off period, meaning if you decide for any reason that the student insurance policy does not meet your requirements, within the first 14 days after purchase. We offer a full refund of your student insurance premium if you decide to cancel provided no claim has been made or pending – so don’t delay, get cover today. If you purchase Student Product Insurance from Cover4Students, we will send you an email confirming your purchase of cover and provide you with your personal student product insurance policy schedule, policy wording and policy summary documents. You will also have the option for a printed copy to be sent via post subject to an additional postage premium being paid. We also provide the option below for you to view and download the Student Product Insurance — Policy Wording and Policy Summary documents, so that you can view prior to purchase or at any time after. 60 Spring Gardens, Manchester, M2 2BQ. Certain types of claims will be considered directly by the insurers if refereed to them by cover4students.com. 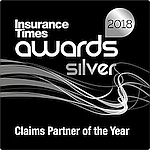 at the Insurance Times awards 2018. Stream were the only adjusting form to achieve a top 3 award in any category.